BHN Group has grown steadily in stature and competency. Today the BHN Group is recognized as one of the leaders in ship management innovation, technology and expertise. With a complement of experienced we provide a full range of comprehensive ship management services to international clients all over the world. Now encompasses a network of corporate vehicles engaged in ship management, chartering, operation, repairs & dry docking and upgrading, technical maintenance and safety at sea of a growing fleet of various vessels. 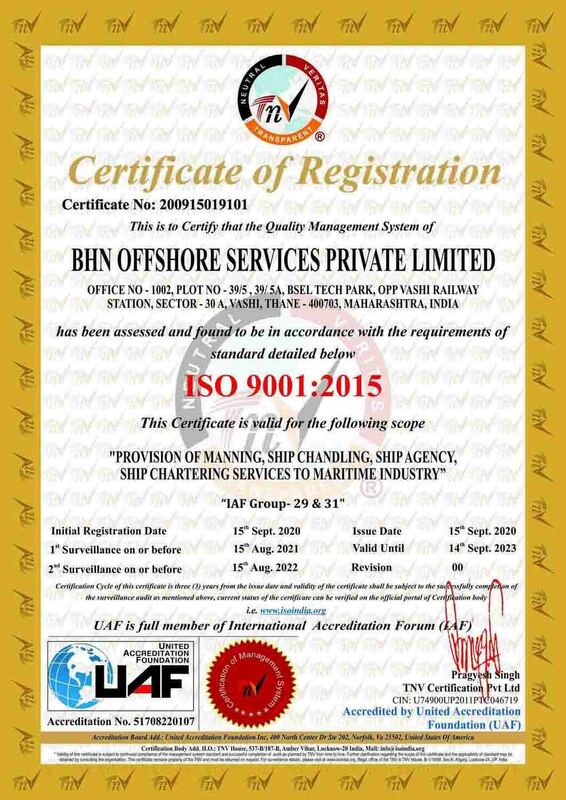 Other peripheral activities such as insurance, P&I and claims handling, agency services, quality bunker supplying, lubricants and provisions to the fleet, the computerized freight management and accounting services are covered in-house by skilled and trained personnel. BHN Group manages a diverse fleet of vessels including Offshore Vessels, bulk carriers of all sizes and type, general cargo vessels and experience in operations. We are also representative office of shipowners and some of traders which following all trade possibilities for marine and international trade facilities. In a very short time since the setting-up of our organization, we have developed direct business relations with first class charterers, major grain companies, mineral and coal traders and have established a satisfactory cooperation with well-established brokers in leading maritime centers. We are providing quality assured ship management services to international clients, with due regard to cost efficiency, professionalism, safety and environmental pollution prevention. The mission of our ship management services is to keep our principals' ships running in excellent and efficient condition at competitive costs.